Kinnikinnick starts at a time when few people even know what Celiac disease is, never mind how to make scrumptious gluten-free food. Baked goods? Sold in supermarkets? Forget it! Enter Ted Wolff and Gudrun Von Selzam who just moved to Canada from Germany. After stints working in health food stores, they come up with the idea of producing allergy-conscious foods for Edmonton's Farmer's Market. Ted is in charge of recipe development, Gudrun, marketing. It doesn't take long to build up a loyal clientele for gluten-free goodies using quinoa, teff, buckwheat etc. No one had tasted gluten-free as good and as fresh as this before. Ted and Gudrun soon have enough of a following to open their first store, a tiny 250 sq ft space on Whyte Avenue. Ted and Gudrun move to a 1,500 sq ft store selling made-from-scratch gluten-free creations as well as bought-in lifesavers like cookies and pasta. The little business with a big heart begins to boom. Their family booms too with the arrival of daughter Robin. 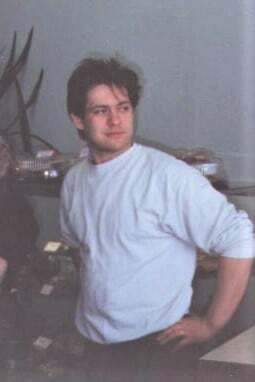 1995 Ted and Gudrun double the size of the business by taking over the space next door and opening their doors as the first gluten-free restaurant café in Canada. Within a year, their constantly evolving line of buns and baked goodies are selling very well in health food stores in Alberta, B.C and Saskatchewan, Canada. They also ship products by bus to customers across Western Canada! Twins Benjamin and Montana also arrive. Our Chocolate Chip cookie is named for her and it's still called that today. One of Ted’s happiest customers is Lynne Bigam, diagnosed with Celiac disease. 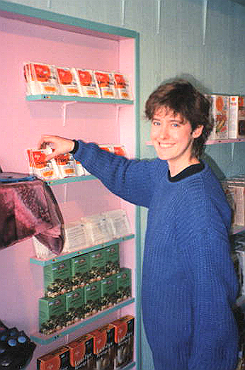 She and husband Jerry are impressed enough with Ted and Gudrun's goodies they decide to buy into the company. Jerry focusses on building new markets. But, there's one thing they have to tackle first. The name. Kinniki-WHAT? people asked. Kinnikinnick is the name for Bearberry, the favourite fruit of, yep, bears. 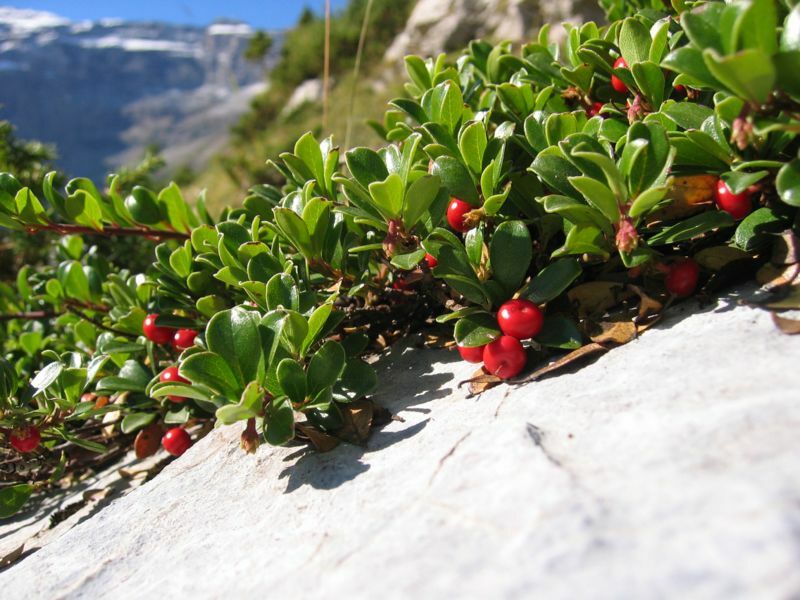 Naturally high in Vitamin C, these bright red alpine berries are a vital food source that lasts through the winter. Native Americans prize them too, using them in pemmican, (a nutritious mix of meat protein and fat that lasts for years). In Algonquin, Kinnikinnick also means ‘mixture’, referring to its use with tobacco believed to carry the smoker’s prayers to the Great Spirit. Tea from the leaves is also used to treat urinary tract diseases and helps against obesity. While that may be a great story for history buffs and botanists, is it really an okay name for a company? No one can spell it! On the other hand, everyone remembers it. So the name sticks. We’re glad it did. Growing demand for Kinnikinnick means expanding to a modern 10,000 sq ft facility on 112th St, Edmonton, Alberta. Our next big leap into the unknown. Going online. 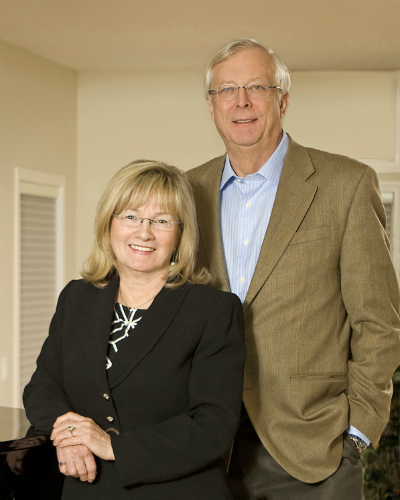 Jay Bigam, Lynne & Jerry’s son thinks there might be something to this new ‘internet’ business. Jay ends up building the world’s first gluten-free website, as well as one of the internet’s first e-commerce platforms for home delivery. $10 to your door, anywhere in North America! Who does that? At that time, no one. Business booms. Especially in rural areas where gluten-free is virtually impossible to find. The internet is also kind to us in spreading the word that, at last, there’s gluten-free food actually good enough to eat and really enjoy. The only cardboard in our goodies is the box it’s shipped in. Soon hundreds of comments pop up on-line, telling others how good our baked goods are. The message gets through to store managers all over North America who start ordering it in. Safeway Canada becomes the first major grocery chain to stock our bread. In the freezer. Another first! New product additions like bagels, pizza crusts and donuts and strong internet sales mean yet another jump to a 30,000 sq. ft. bakery and new headquarters on 120th St. Edmonton, Alberta. Overnight, Sept. 9/11 suddenly changes the way companies can import anything into the USA. A new Prior Notice system is created to inform authorities what’s being shipped, to whom, one notice per product. Many exporters can’t cope with the extra paperwork and stop exporting to the USA. 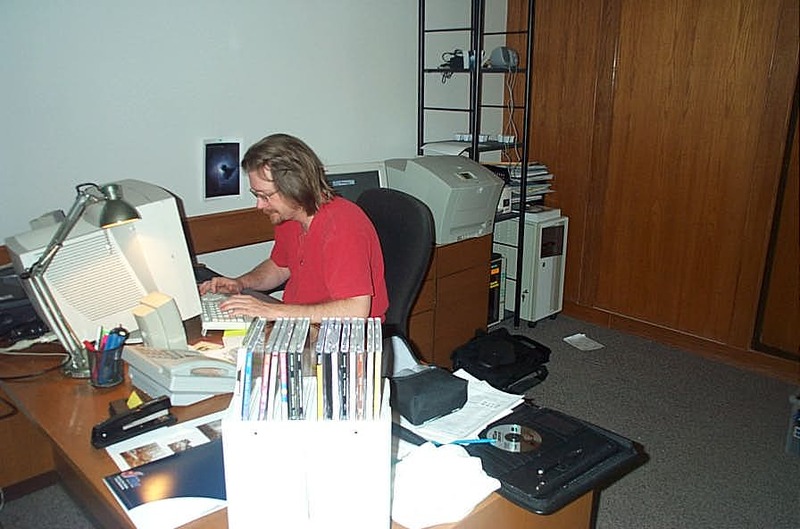 Kinnikinnick, ever the trailblazer, develops a computer system to satisfy all requirements that's soon generating over half a million Prior Notices a year. Today, the system remains the envy of many exporters to the USA. 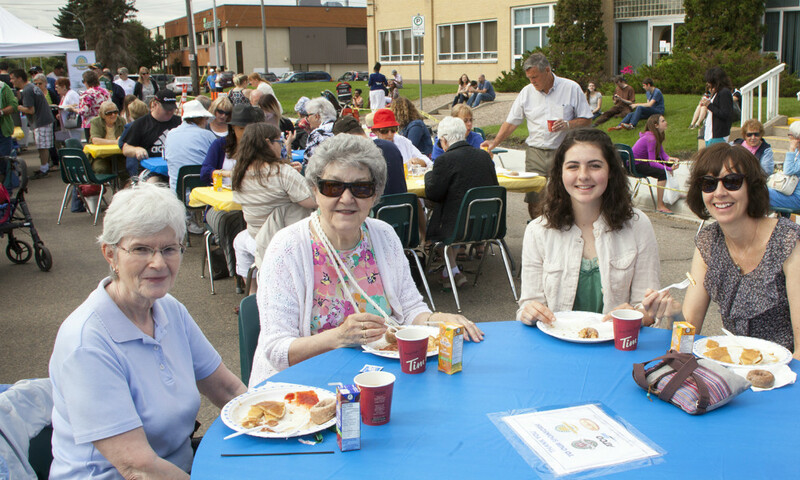 Back at HQ, Kinnikinick joins forces with the Edmonton Chapter of the Canadian Celiac Association and puts on a gluten-free pancake breakfast every summer at the retail store. We also get a call from a large US distributor saying, “Your products are the most requested that we don’t carry. 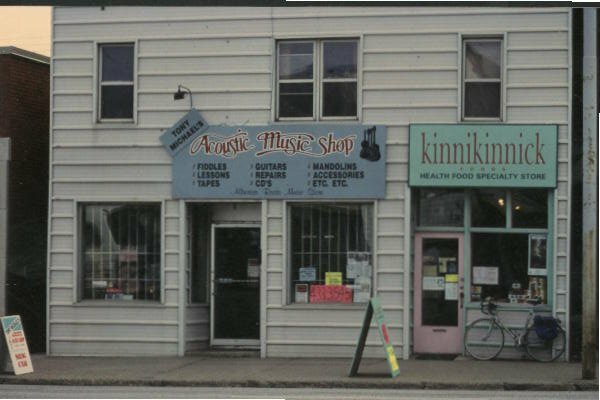 How do we get you into our system?” This paves the way for Kinnikinnick to enter main street grocery retail. Parents of children with Autistic Spectrum Disorder start asking us for products that are not only gluten-free but also dairy free. So we make a separate line of products. It turns out that many people with Celiac disease are also dairy intolerant so we decide to go gluten AND dairy free to serve both sets of customers. By now the company has grown from the original six staff to around seventy. Ted and Gudrun feel it's time to move on to new adventures. The Bigam family take full ownership of Kinnikinnick. The ‘new’ facility is already too small, operating two shifts and running out of space. 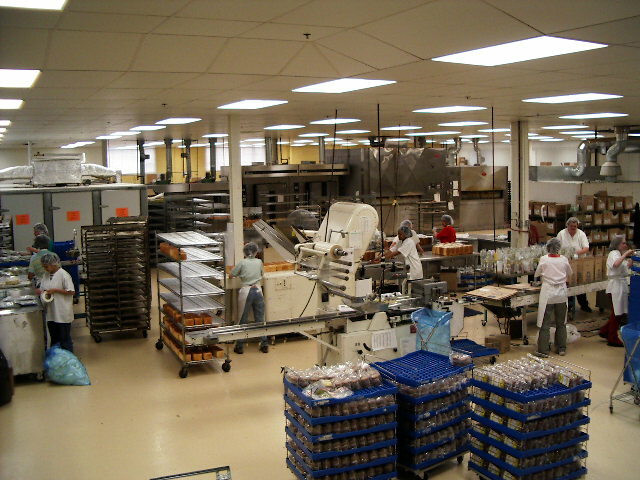 So it’s a big commitment and yet a no-brainer to take over a second 120,000 sq ft. bakery when one of N. America’s largest cookie manufacturers, Sunland, closes down. It comes with some of the most advanced equipment available. Affectionately nicknamed K2 (like the Himalayan mountain that's so tough to climb) by our staff, it takes six months to decontaminate from allergens. Production rates shoot up from sixty cookies a minute to a thousand. Bread to ten thousand loaves a day. New sophisticated production lines make cream-filled sandwich cookies like KinniToos and our new product development department works hard to perfect best-sellers like KinniKritters (animal cookies) and S’Moreables (graham-style cookies). 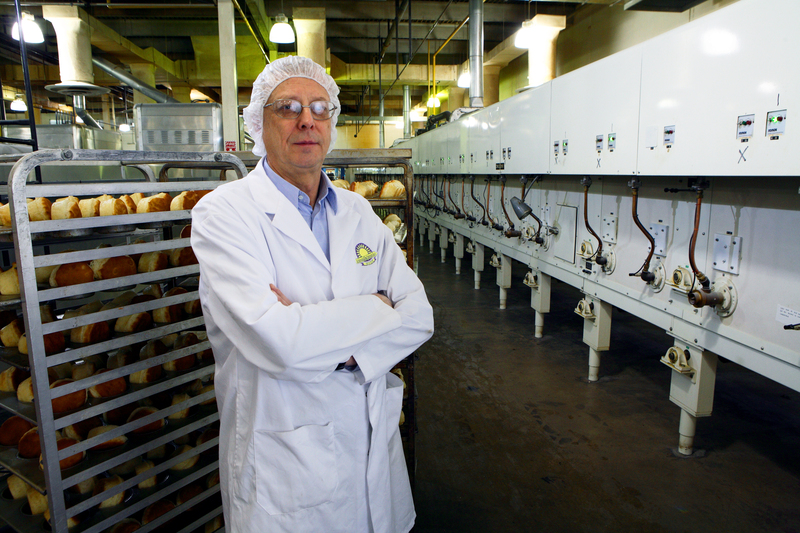 By now, Kinnikinnick runs one of the largest dedicated gluten-free bakery plants in the world. 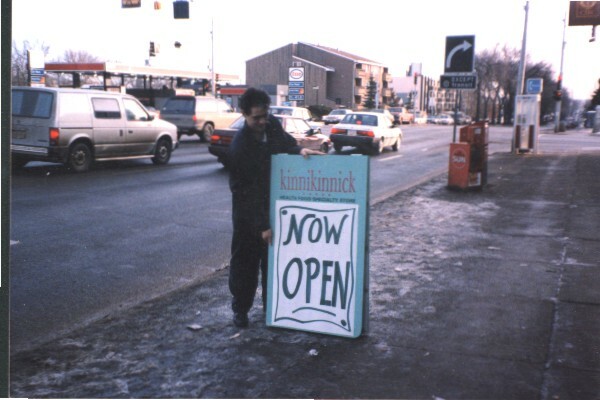 We move headquarters and most of our production to the original location, now called K1, where we convert the existing bakery to specialise in donuts and fresh-made products for a new retail store, Kinnikinnick Fresh. The store sells gluten-free products you won't find anywhere else, all under one roof. We set up an in-house lab and start testing every single one of our ingredients for gluten and dairy contamination. Kinnikinnick is the No 1 best-selling gluten-free bread in North America. Lynne Bigam is determined that our bread be affordable for all celiacs, so we make a decision to keep the price as low as we can. A decision we still stand by, decades later. 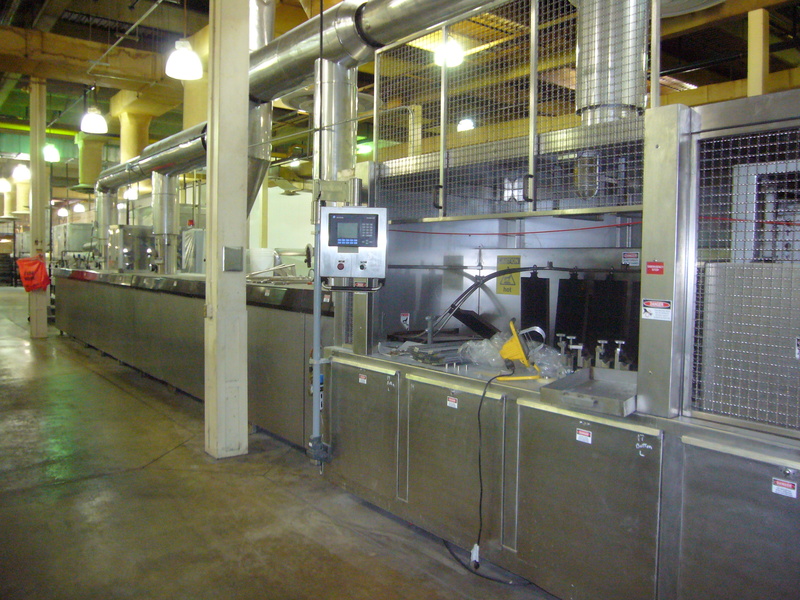 We install the world's first fully automated gluten-free donut line at K1. Very soon, they're the leading brand in North America. 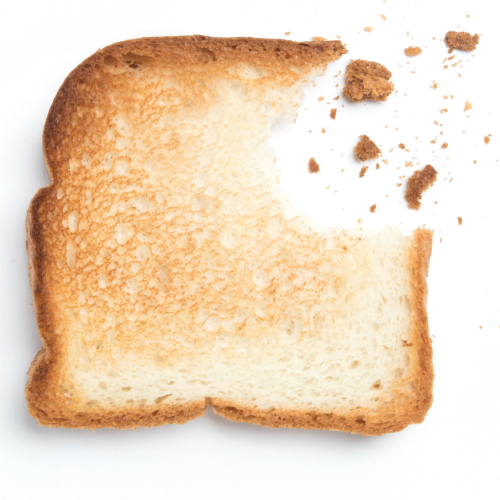 In listening to our customers it becomes clear that gluten intolerance is often connected to other allergies. So, for the next decade, we work hard taking out ingredients that people react to. First dairy, then peanuts, tree nuts and most recently soy. GMO's, artificial colours & preservatives and trans fats are also a no-no. So we start getting rid of them. Kinnikinnick products become certified kosher by OU. By now research shows that Non-Celiac Gluten Sensitivity (NCGS) is an actual condition, which leads to a boom in the retail market as non-Celiacs chose a gluten-free diet to improve health. This attracts private equity firms to enter the market by buying up what been up until now, almost exclusively family-owned companies. With new companies entering the market, we trailblaze again and come up with differentiators. A new soft bread and bun formulation, enriched with vitamins, minerals and 5 grams fibre per serving. We give our in-house laboratory an upgrade and begin testing for other allergens as well as gluten and dairy. By popular demand we add pie crusts to our range. And three new bagels free from eggs as well as gluten, dairy, peanuts and tree nuts. 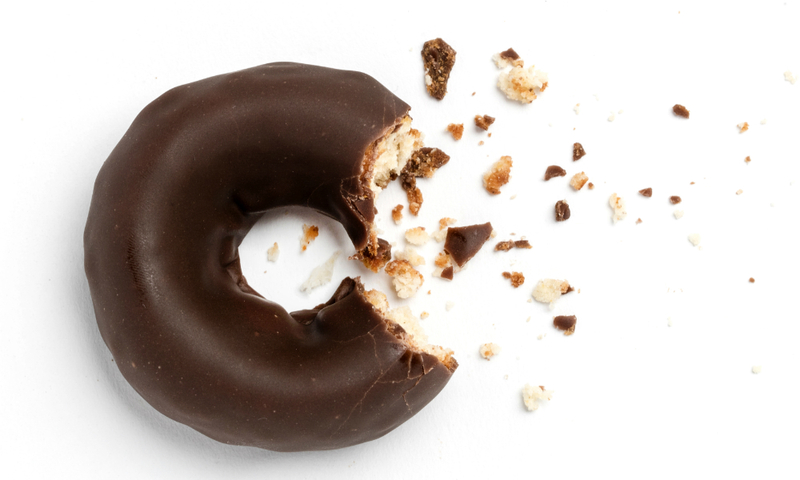 Our range expands with the creation of new donut flavours and a selection of cookies. Kinnikinnick becomes BRC Certified, achieving the highest standard of food safety possible. We celebrate our 25th Anniversary with a Free Shipping Home Delivery program for on-line orders over $50 anywhere in North America. As market tastes change, Kinnikinnick re-brands. Our old logo gets a makeover and influences our new-look packaging. Our focus shifts to cover not just gluten-free but scrumptious baked goods free-from most major allergens including dairy, nuts and peanuts and now soy. Consequently, our tag-line evolves from Gluten-Free Never Tasted So Good® to Best Things In Life Are Free-From®. By now Kinnikinnick products are loved the world over: Across North, Central & South America, Mexico, the UK, countries in the Pacific Rim and new international markets where more and more people need to and chose to eat free from. Kinnikinnick products made in K2 are granted Gluten-Free Certification Program status. With 44 products on the market, we’re always working hard to create new ones. 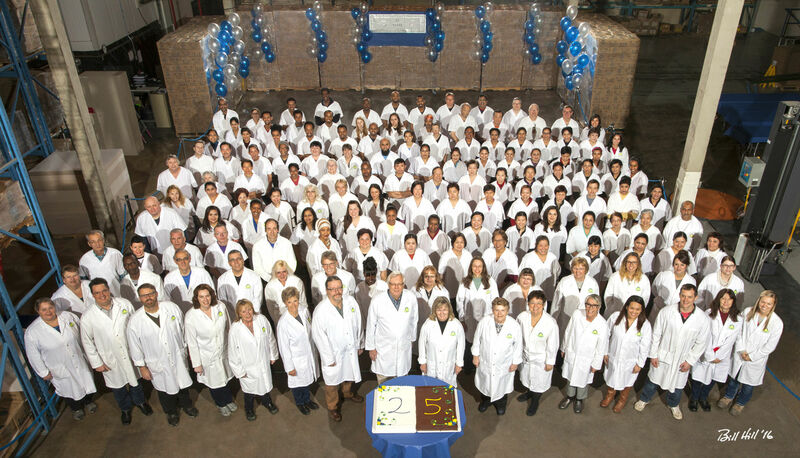 We stay committed to the highest testing standards to make sure all our products are safe, scrumptious and a joy to eat. There’s nothing that makes us happier than seeing the tears of joy on people’s faces when they bite into our donuts or piece of toast and say "This can't be free from gluten, it tastes too good!". What was a distant memory becomes a new, beautiful one. That's what our customers say. We get so many emails, letters, cards and social media posts thanking us for safe and scrumptious products. It's why we do what we do. Check out our testimonials page here. Kinnikinnick cares deeply about supporting the Celiac community and all those living with allergies and intolerance, which is why we're committed to developing new popular products in future customers old and new can cherish. We are very well known for making donations to the Celiac and allergy communities and those that need gluten-free food for community events. As a family-run business, our hearts are in everything we do.